Another week down, and 1 week of Family Health Team to go! I’m almost through two rotations of internship and it really is speeding on by. The past week was a busy one (what else is new?) but I’m still learning and enjoying the rotation as much as I was at the start! Let’s recap. Monday: Upon arrival, the RD and I read through charts and took notes to prepare for the upcoming patients. Once 9am hit, it was patient after patient until lunch time. We saw some pretty complicated patients, which is very interesting but also limiting in terms what I’m able to do with these patients, due to my lack of experience with all of these confounding complications. My heart really went out to a particular patient we saw Monday morning. She was young, struggling with mental health issues and disordered eating/body image thoughts as she had a history of eating disorders. Her current mental health was affecting her eating habits and when we went over her diet history/counseling part of the session we disovered that there were a lot of foods that in her mind she’d labeled as “bad” when they really aren’t bad at all. In fact, there really are no “bad” foods ever. But there are foods that we should eat much more of versus foods we should eat on occasion. It was evident that she was ashamed of her current eating habits and her all around health behaviours, and I so badly wanted to help her. When given the chance, I expressed empathy and provided a small two cents but like I said, with my limited counselling experience/ clinical experience in general I didn’t want to say too much. But it’s patients like these that are the reason I want to be an RD. I want so badly to change peoples minds about food and help clarify the misconceptions that the media/diet industry have created. I’m so passionate about living life entirely balanced and I want to help individuals who are struggling with that do so as well. Tuesday: Today we sat in on a Webinar of the Dairy Nutrition Symposium hosted here in Toronto. The topics discussed were SO interesting and the speakers were great. One of the speakers was the RD for the Toronto Maple Leafs and the inner hockey player/fan in me was TOO excited. Her speech in particular was about debunking diet “trends” (specifically the paleo diet) which basically outlined how little evidence diets like paleo and gluten-free (for non-celiacs) actually have supporting them. Other interesting topics included the suggestion that saturated fat and cholesterol don’t actually have an association with increased risk of cardiovascular disease (!!! ), the association of dairy intake (total vs. high fat vs. low fat) with cardiometabolic health, and the impacts of the DASH (Dietary Approaches to Stop Hypertension) diet and several DASH modifications. 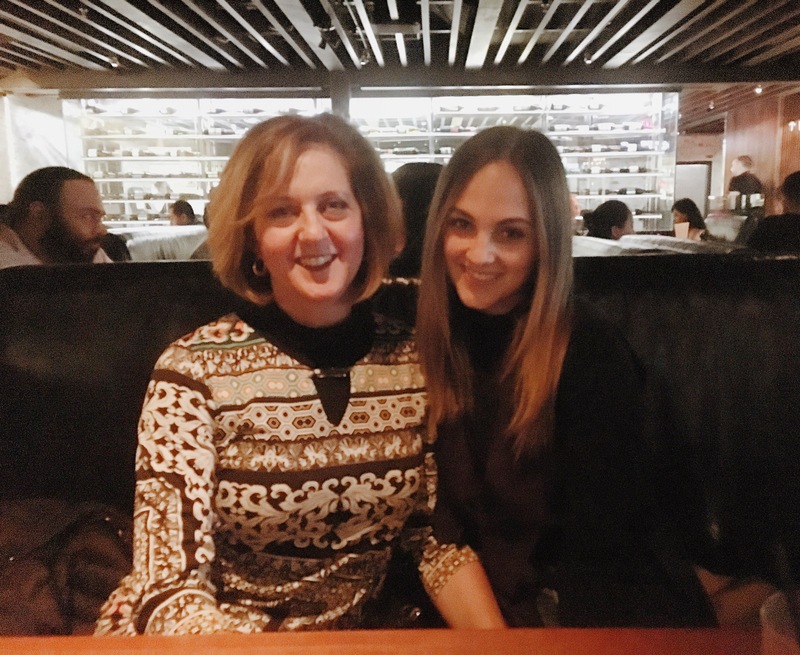 I spent the evening with my mom (as I had the previous few days) because she was in the city for meetings and she stayed 2 nights with me, then I stayed with her at her hotel. We spent some quality time together and it really was so great to see her again since August! I love my mama. Wednesday: Another busy busy day of patients. We saw a few Type 2 Diabetes cases, some weight management cases, all with a lot of mental health factored in. Something I did not really consider before internship was how common mental health issues would be among patients that I see and how relevant they are in terms of eating habits and physical activity. By the time Wednesday was over, I was already drained. Good thing it was a 4-day week because I’m not sure I would have made it otherwise! Thursday: In the morning I shadowed an RD who works in the Diabetes Care Clinic within the hospital. She ended up having no patients in the morning, but that doesn’t mean I didn’t learn anything. In fact, I learned a ton. 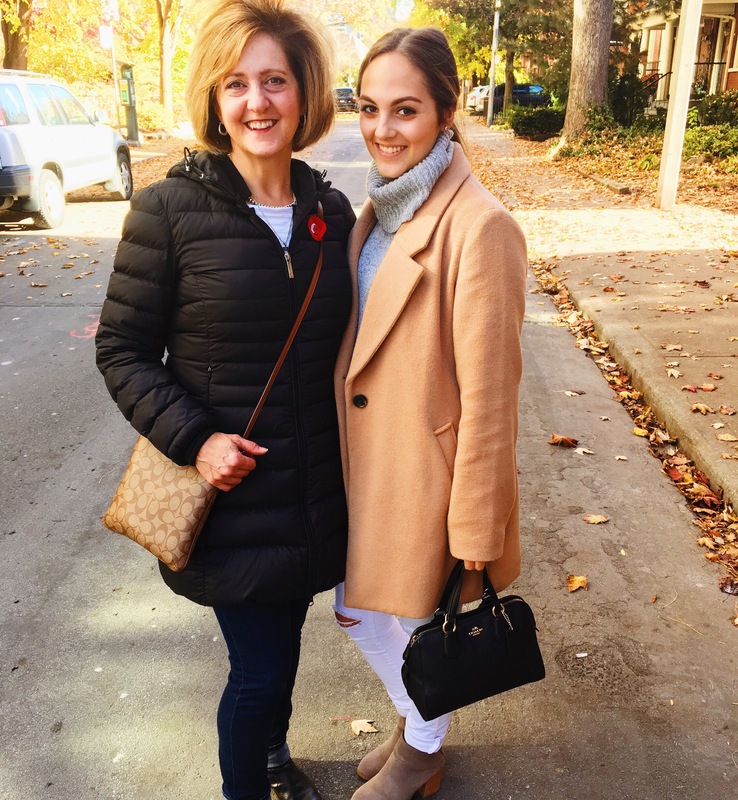 She showed me insulin pumps, taught me all about carb counting and insulin/carbohydrate ratios, and I even got to meet the RD who wrote the Nutrition Guidelines for the Canadian Diabetes Association 2013 Clinical Practice Guidelines (again, only something only a true nutrition nerd would be excited about). In the afternoon, I had a meeting with a fellow intern, our research preceptor, and our internship coordinator about out research project for the year. We will be working on Patient Education Resources for the Cardiac Rehab and I’m super stoked. Cardiology, particularly cardiac rehab, have been a big interest of mine for a long time now so I can’t wait to get into that! Friday: I had the day off for Remembrance Day. I went for a nice run then spent the morning around the apartment before doing some shopping, as it’s never to early to Christmas shop! 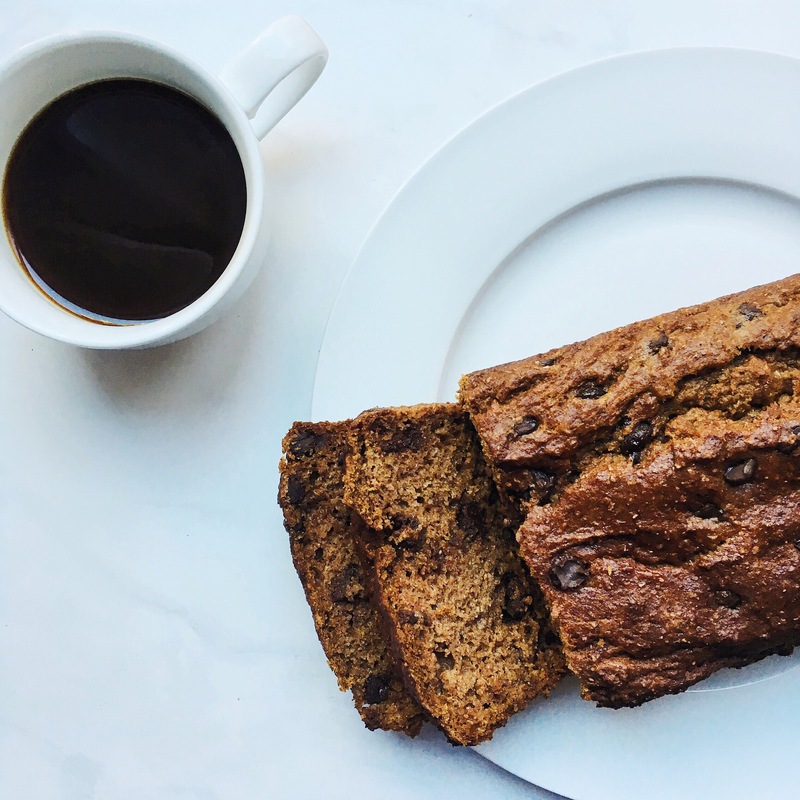 We also grabbed coffee and ate some super delicious pumpkin loaf that I’d made the night before – I’ll be sure to post the recipe as soon as I get a chance! The rest of the weekend was pretty chill, just the way I like it (usually). I’m finding as internship gets busier and busier, I have no trouble sleeping in on weekends and then napping later in the day. 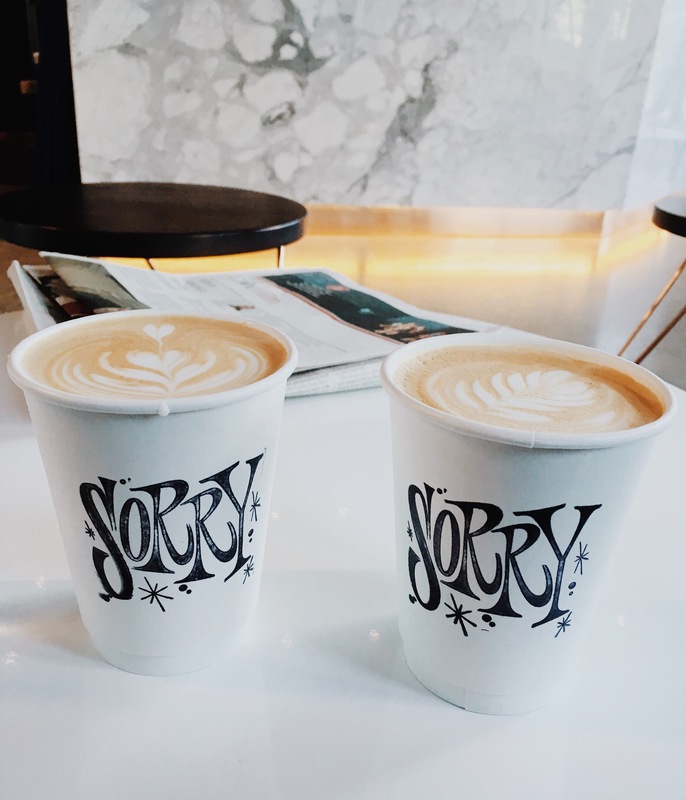 I’m still very active and eat well, but I know rest is just as important – so I try to prioritize all three so that I can be my best during the week and avoid getting sick. One more week of FHT and then…. VACATION! Let’s do this!